The most popular and famous night club in Taipei would have to be Room 18, owned by a famous celebrity who is often seen with other celebs at his own club. My clubbing days are long over, and I guess so has his (now married with children). 18 Cafe has opened just around the corner of my friend’s place, although it took us a while to actually sit in and try. There were doubts: Is the food good? Do they serve anything besides alcohol? Do people pre-party here before heading to the actual club? All of these wonders have been settled after our visit, after reading an excellent review of their “Championship Beef Noodles” online. We reserved a table at 7 PM, only to be informed that their Beef Noodle and German Pork Knuckle were sold out when our seats were barely warm. 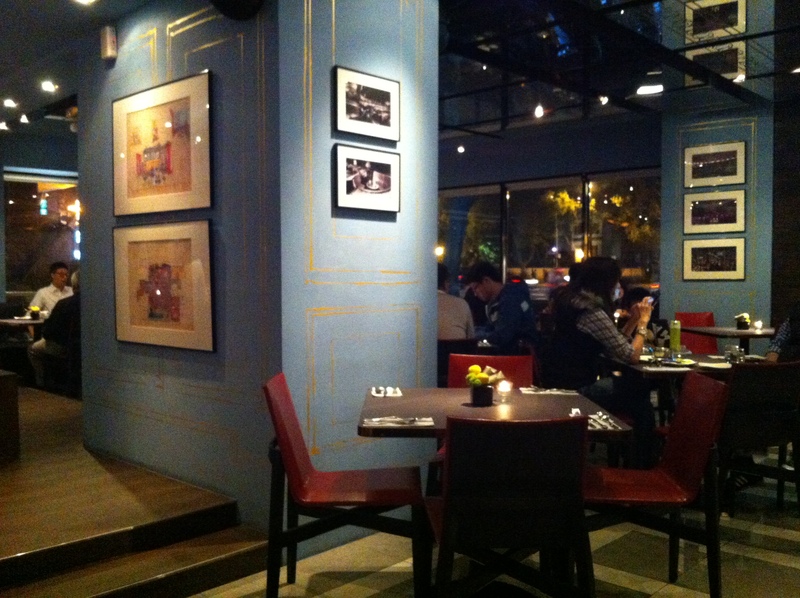 Nonetheless, the atmosphere inside was nice enough for us to stay – I really loved the color scheme of the interior. The menu is short and simple, which is a good thing. Some restaurants have pages of menu that make it rather hard for decisions. We decided to order Minestrone and an Egg Tofu Salad for starters, Beef bourguignon and an XO sauce Seafood Angel Hair Pasta for entree. 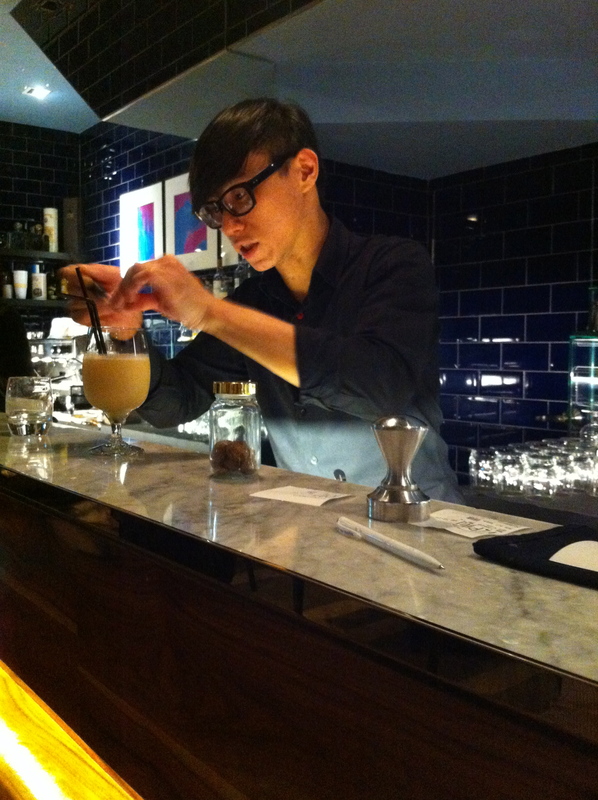 While waiting for the salad, we saw the bartender mixing up a drink that looked very appealing. He said it was a juice cocktail mixed with lychee and pear puree, yakult, apple juice, and cinnamon powder on top. 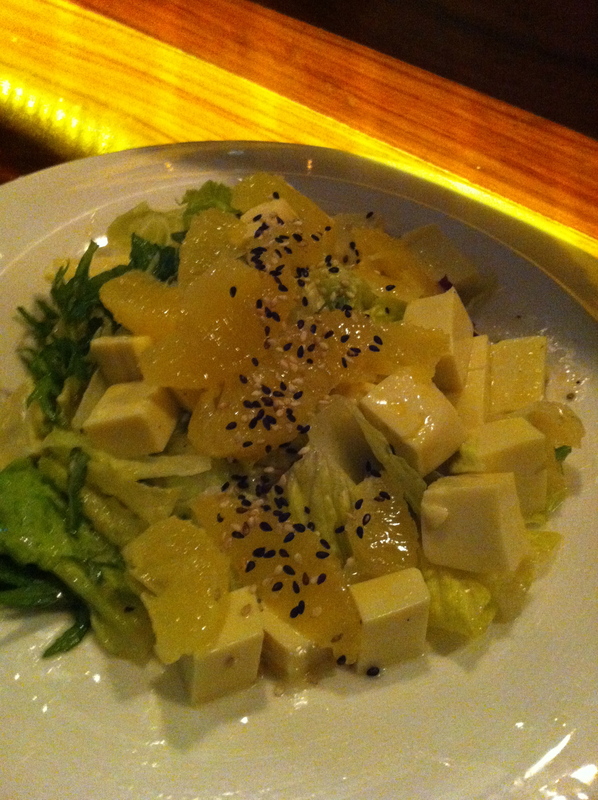 It tasted wonderful! It was fresh, original, and I could taste every single one of the ingredients he mentioned, one at a time. 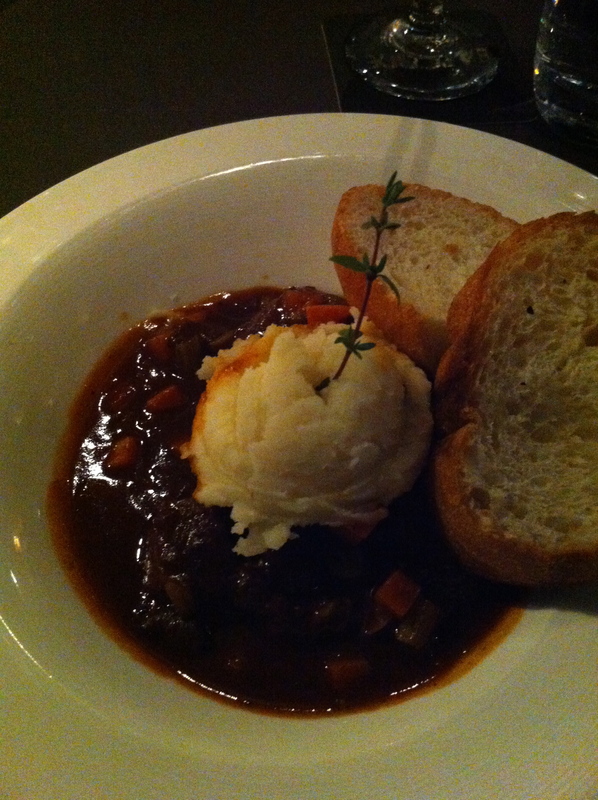 I am a big fan of stewed beef, whether it’s Chinese stewed beef, Thai stewed beef, French, or my mom’s. But I haven’t had stewed beef this great for a long time (must be the same one they use in their champion beef noodle) – the texture and flavoring was just right. I kind of regret ordering the XO sauce Pasta after I ordered it, because I realized that it would be like chow mein made with angel hair. 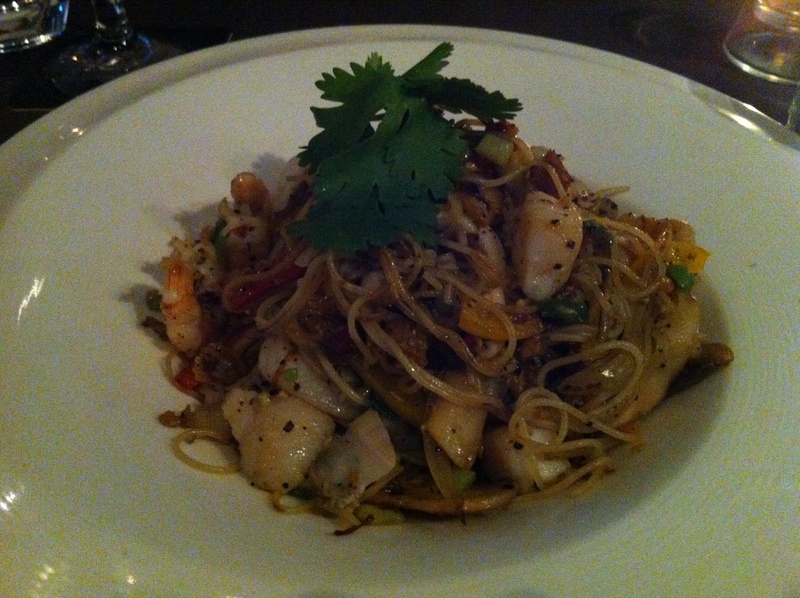 It tasted a lot better than chow mein, with plenty of seafood, but it was a bit too spicy for me. 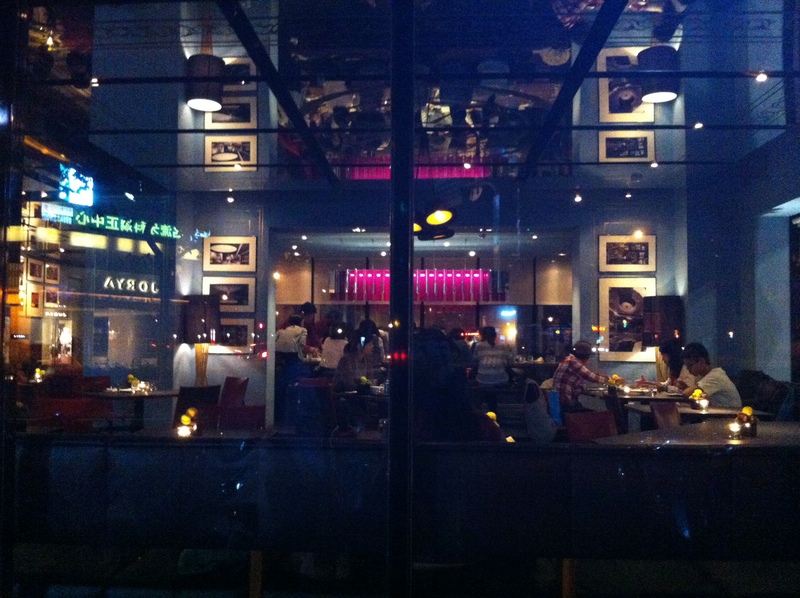 In the middle of the restaurant, they have an open room with a long table and bench seats, made for larger parties. It would nice to come here with friends, celebrate a birthday or something. But next time, hopefully their beef noodles are not sold out again! 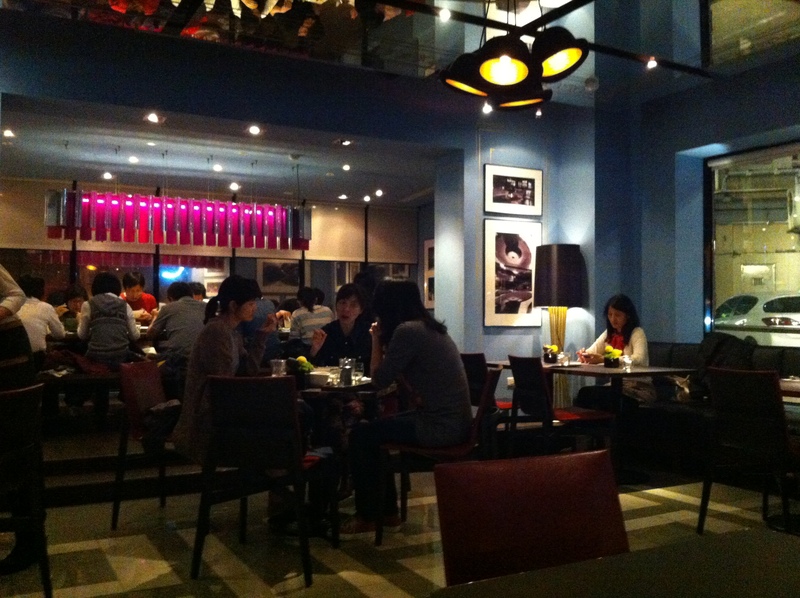 This entry was posted in Taipei, Taste and tagged 18 cafe, beef noodle, dinner, food, Taipei, taiwan.